Timing Belt Pulleys drive is superior, best alternative to 'V' belt roller chains and in an amazing number or application. drive is extremely efficient and maintenance free. Drive will provide constant speed- positive power transmission, efficiency approaching 98% for the entire of the drive. Drive belt do not stretch over a period like 'V' belt and roller chain, hence there is no change in speed due to stretch. creep or slippage. 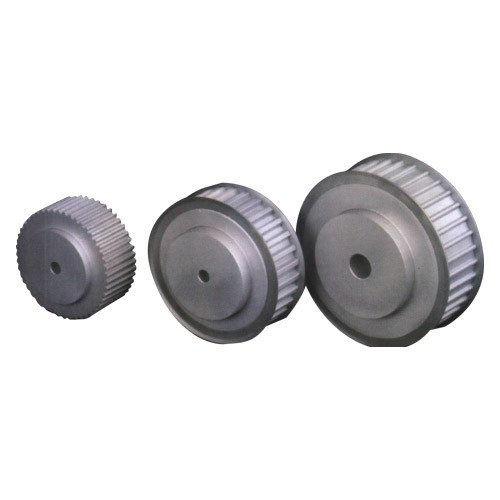 Note - We also manufacture Pulley as per the customers requirements. Established in the year '1976' , we at “Sunshine Enterprise” are engaged in importing,supplying and distributing a wide range products like Super PVC White, PU Film Coating, Herring Bone Coating PVC White, Knob Coating PVC White Copper Tube and many more. We an array of products that have high flexibility, durability, smooth functional life and low maintenance charges.